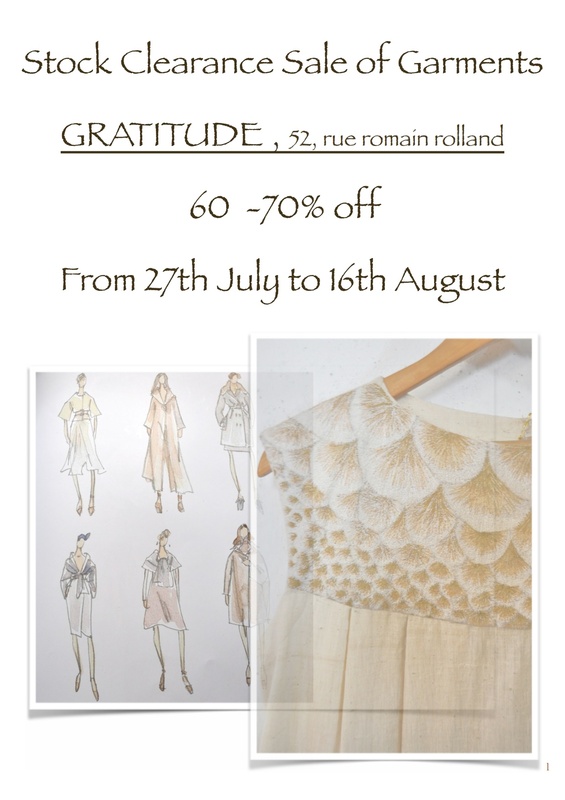 ANNUAL SALE at BOUTIQUE de la MAISON GRATITUDE. Designer Collection of Ladies Garments, organic cotton, finely pin-tucked cotton, for large to extra large sizes as well, silk. One-off pieces. All made by the women of the Satya Jyoti Trust.